As a healthcare executive, Jim has over 20 years of experience in system leadership, partnership/joint-venture development, acquisitions, strategic planning, business development, marketing, facility planning, and financial services. His diverse experience includes work with large health systems, rural hospitals and physician groups in strategic expansion, master facility planning, program evaluations, service line development, consensus building, and implementation of key operational objectives in diverse settings. He has a reputation for analytical & strategic skills, developing a team approach, creating strong relationships through mutual respect, trust, and communication. Jim has worked with a variety of healthcare providers on Asset Transfers, Acquisitions, Strategic Planning, Master Facility Planning, Service Line Development, Replacement Hospitals, Critical Access Hospitals, Cancer Center Development, Surgical & Diagnostic Centers, Medical Office Buildings, Freestanding Renal Dialysis, and as an Owners Representative on Construction Projects. 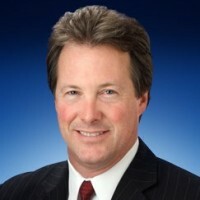 He earned a Master’s degree in Health Administration from Washington University and a Bachelor’s degree in Finance from the Indiana University School of Business.